Alice Bristow's father Thomas Arthington Bristow died aged 36 on the 12th December 1859 after a long illnes. By trade he was a bookbinder and at the time of his death was living at 68 Havelock Street Caledonian Road London. The above certificate shows the informant of the death was Charlotte Susannah Tapley who was Thomas's sister in-law. The photograph below is the oldest surviving picture of a family member. 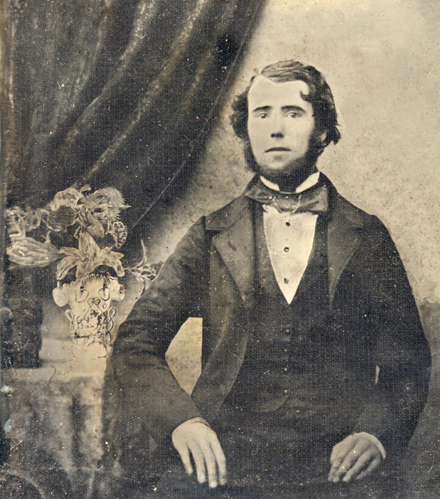 It shows Thomas Arthington Bristow posing for a London photographer around 1855. Known as Ambrotypes these images were printed onto glass plates and mounted in individual cases. They replaced the earlier daguerreotype process. 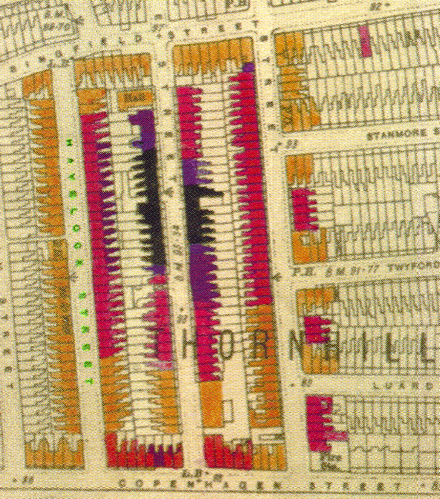 The map below shows the positiin of Havelock Street, west of Caledonian Road and north of Copenhagen Street. The area has been completely redeveloped snce the 1939-45 war with no properties remaining in Havelock Street. The Burial Register at the bottom of the page records Thomas's death. He was the last but one to be buried at St Pancras Cemetery in the year 1859.